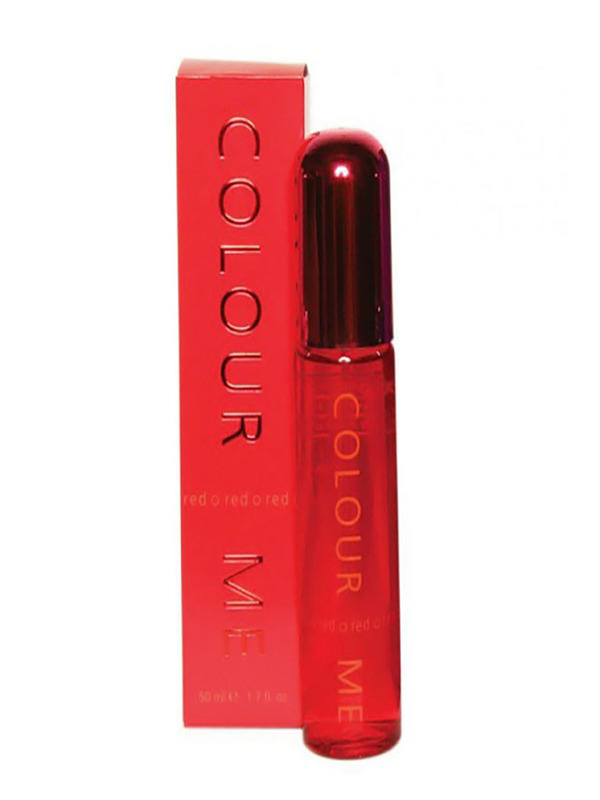 Colour Me Women Red Perfume 50ml A very sensuous, feminine fragrance with complex top notes of sparkling citrus lemon, soft juicy fruits of cherry and peach, enhanced by diffusive floral of peppery summer freesia. The rich floral heart of jasmine, green floral muguet and velvety roses is scintillating. Made in UK.